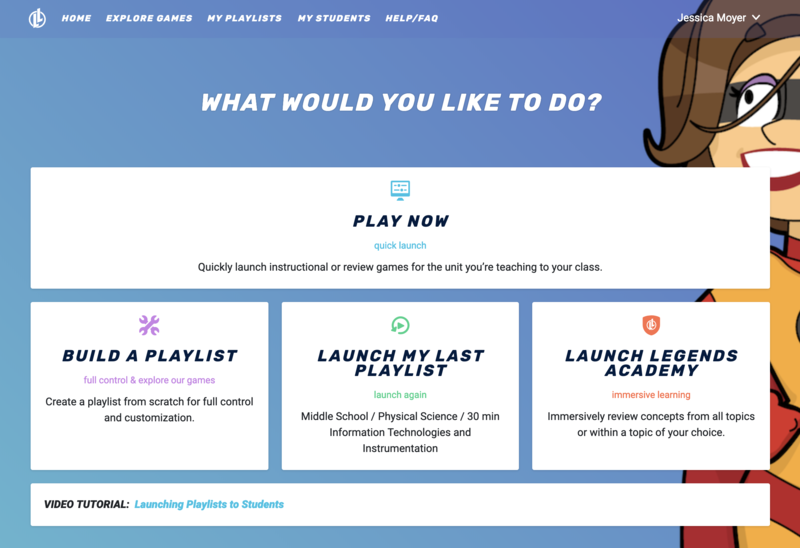 When you sign up or sign in to your Legends of Learning teacher account, you'll land on the HOME page where you can launch a PLAY NOW playlist, create a custom playlist, launch your last playlist, and/or launch Legends Academy. 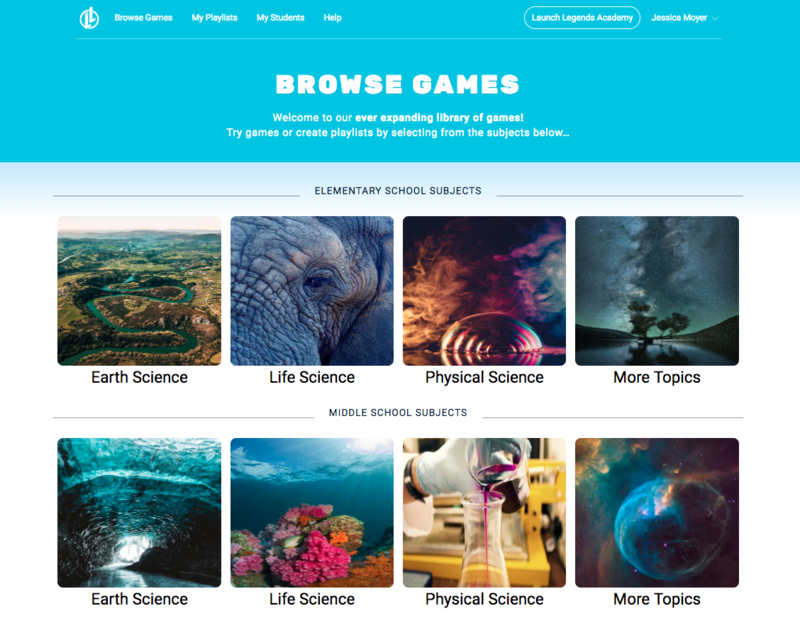 The EXPLORE GAMES tab allows you to choose a core subject, browse through learning objectives, and create playlists. Click the MY PLAYLISTS tab for a list of all your playlists. This list includes completed (launched) playlists and draft playlists which haven't yet been launched, as well as playlists currently live and those scheduled for later. (Playlist scheduling is a paid account feature.) 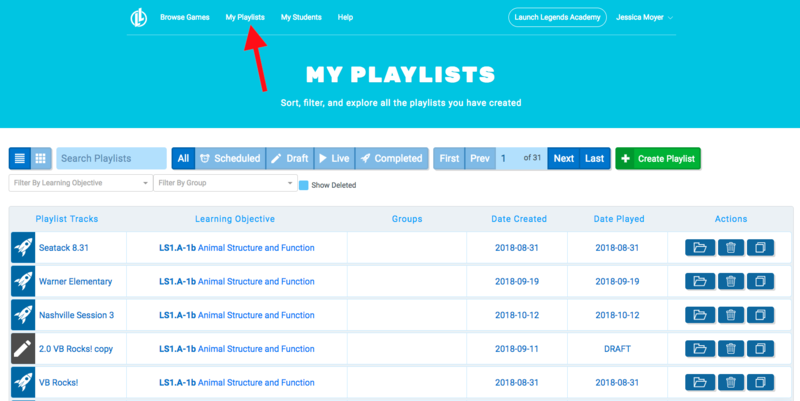 This list can be sorted by learning objective, status, or date, and can be filtered to show only specific learning objectives or student groups. 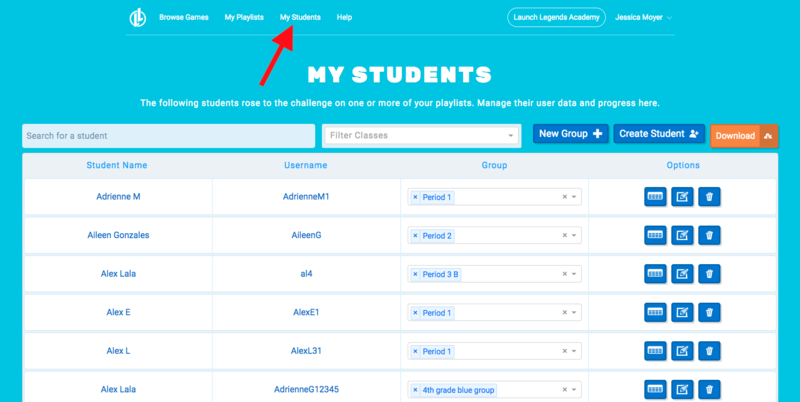 Click MY STUDENTS for a list of all students and student groups (classes) in your account. This list can also be sorted and filtered, and you can add new groups and students here as well. 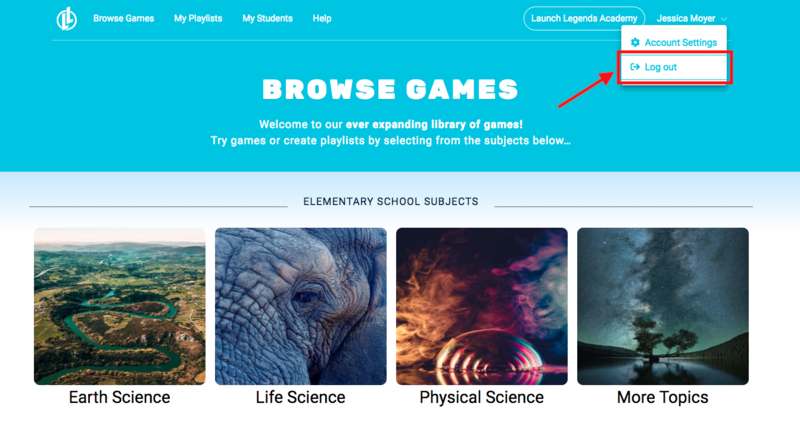 Click HOME, or the Legends of Learning logo, to return to the home page. At the top right of any page, click your name and then select Account Settings to view your account details. On this page, you can update or change your email, and name. You can also view or change your teacher code (used to launch your playlists), and manage which content you want to see when building playlists. 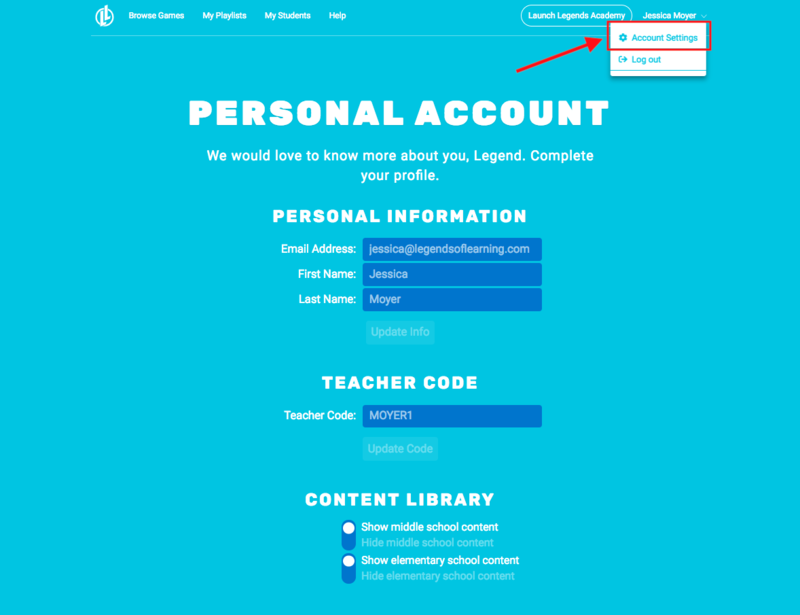 Sign out of Legends of Learning by clicking your name at the top right and selecting Log Out.